Sometimes the desire to support Scouting’s youth-led model clashes with the wishes of parents or your fellow Scouters. That’s happening now in a troop in the northeast. The senior patrol leader wants to shuffle the patrols; some parents and assistant Scoutmasters are against the idea. The Scoutmaster emailed me last week asking for advice, and he agreed to let me share the story here. The newly elected senior patrol leader wants to reshape the way his fellow Scouts are divided into patrols. Instead of the troop’s current model with patrols organized by age, he wants to mix things up. Under the new plan, each patrol would have a mix of younger and older Scouts. The Scoutmaster is inclined to let this happen. 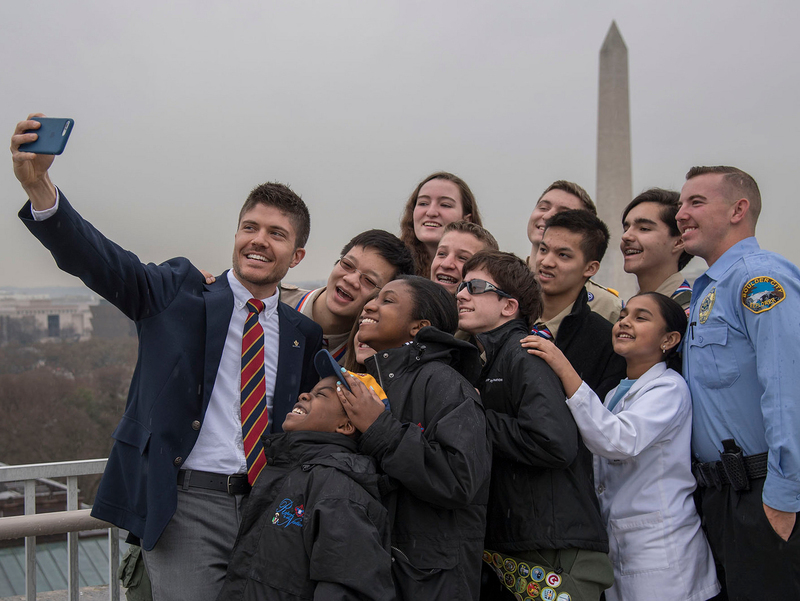 The youth-led model — where young people are allowed to try things, and even fail, in a safe environment — is what makes Scouting so great. They agree that interaction between younger and older Scouts is a critical part of Scouting, but they don’t think rearranging the patrols is necessary to accomplish that. One assistant Scoutmaster says the reorganization might take away the sense of patrol pride the boys enjoy so much. This assistant Scoutmaster asked the Scoutmaster to step in and tell the SPL that his plan isn’t permitted. “I am trying to find a happy medium in all of this and was hoping for some advice,” the Scoutmaster writes. “I’ve read all sorts of BSA publications about how patrols should be organized and I see pros and cons for different methods. I want the boys to lead themselves and I have tried to preach this to the other Scoutmasters, but at times I feel I am talking to a brick wall. First, let’s look at the BSA’s official guidance here. “Guidance” is the operative word here, because there’s no rule. Each troop sets its own model for patrol organization. I wrote about patrol organization last year, citing the Vol. 1 of the Troop Leader Guidebook. Read that post to see what the Guidebook says about the advantages and disadvantages of the mixed-age approach. You’ll also hear the case for having three types of patrols: new-Scout patrols, regular patrols and older-Scout patrols. What would you recommend to this Scoutmaster? Should he follow the wishes of the senior patrol leader, elected by his peers to make important decisions? Or should he take the guidance of his parents and assistant Scoutmasters and preserve the current patrol makeup?